Johannesburg, 24 March 2018 – Doing business in a manner that focuses on creating a positive experience and satisfaction for the customer is one of the key ingredients for successful entrepreneurship. 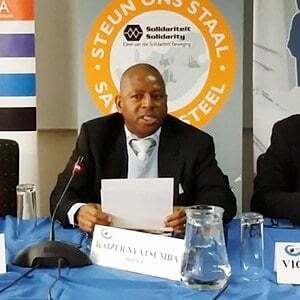 Businesses which ensure that customers are at the heart of their strategies, operations and innovation tend to do much better than those which don’t do so, Steel and Engineering Industries Federation of Southern Africa (SEIFSA) Chief Executive Officer Kaizer Nyatsumba said. “We live in an age where customers have so many choices. They dictate the products and services they want businesses to provide for them. Long gone are the days when companies used to dictate to the customer. This is why customer-centricity should always be at the heart of businesses if companies are to succeed and thrive in an environment where both markets and customer preferences are changing,” Mr Nyatsumba said. He said it was for this reason, among others, that SEIFSA introduced the SEIFSA Awards for Excellence in 2015. To celebrate companies that have gone out of their ways to ensure that their customers are at the centre of their businesses, SEIFSA will present the Customer Service Award of the Year to a company rated the highest in customer service performance during the period July 2017 – December 2018. 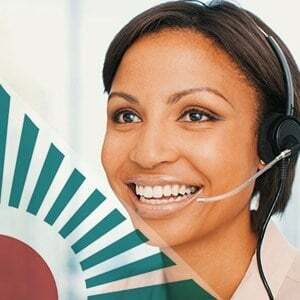 Last year there was no winner in the Customer Service Award category because there were no entries submitted. This year, Mr Nyatsumba encourages SEIFSA members and non-members to take pride in the work they do to satisfy their customers and submit entries for this category. “The sole purpose of the SEIFSA Awards is to celebrate excellence, be it in innovation, health and safety or customer centricity. Therefore, I would like to encourage companies which have gone out of their way to ensure that the customer is king in their businesses to submit entries for this category and allow themselves to be acknowledged and celebrated by industry peers,” Mr Nyatsumba said. 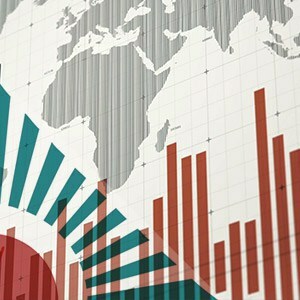 Johannesburg, 12 December 2018 – The Steel and Engineering Industries Federation of Southern Africa (SEIFSA) is disappointed by the latest Consumer Price Index (CPI) figures, which indicate that inflation increased further in November 2018, despite the decision by the South African Reserve Bank to raise the repurchase rate by 25 basis point to 6,75% from 6,50% last month in an effort to contain inflation within the mid-point of its 3-6 percent target band. The CPI figures released by Statistics South Africa (StatsSA) today indicate that the annual consumer price inflation increased to 5.2 percent in November 2018, from 5.1 percent in October 2018. On a month-on-month basis, the CPI increased by 0.2 percent in November 2018. SEIFSA Economist Marique Kruger said given that the demand for the Metals and Engineering (M&E) cluster’s intermediate products is a derived one based on consumer spending, the persistent rise in inflation is cause for concern. However, Ms Kruger said the increase in the CPI was expected going into the festive season, underpinned by a seasonal pattern of higher consumer spending, galloping November fuel prices and a generally upward-trending Producer Price Index (PPI) for both the intermediate and final manufactured goods. The concern is that the increasing trend in inflation is likely to continue in the near term, compelling consumers to cut back on spending for final manufactured goods which warrant the use of intermediate manufactured products of the M&E cluster of industries as inputs. “The latest inflation data is disappointing and does not augur well for businesses in the M&E cluster of industries and the broader manufacturing sector. The concern is that companies will continue to face headwinds, including higher interest rates, operational expenses and inflationary intermediate inputs costs,” Ms Kruger said. In addition, she said it was worrying that the PPI data to be released tomorrow is likely to maintain its upward pressure on inflation. SEIFSA closely monitors the release of both the CPI and PPI data for final and intermediate manufactured goods, amongst other indicators of its price and index pages (PIPS), due to their importance to the M&E sector. Both indices are used by companies in the secto in financial decision-making processes towards costs mitigation r through, for instance, Contract Price Adjustment processes. In conclusion, Ms Kruger said despite the difficult operating environment, companies should capitalise on the prevailing signs of a silver lining to build on lower fuel prices for December and slowly improving domestic demand, reduce operational costs and positively boost margins and profit levels. 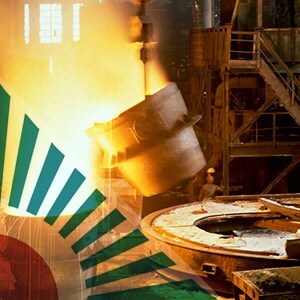 Johannesburg, 11 December 2018 – The Steel and Engineering Industries Federation of Southern Africa (SEIFSA) welcomes the preliminary production data for the Metals and Engineering (M&E) cluster of industries released by Statistics South Africa (Stats SA) today. “The data, which reflects an increase in output for October 2018, augurs well for both the cluster and the broader manufacturing sector,” the Federation’s Chief Economist, Michael Ade, said this afternoon. After adjusting for the sectoral weights, the preliminary seasonally-adjusted production data for the M&E sector indicated that output improved to 11,9 percent on a year-on-year basis in October 2018, when compared to October 2017. The improved performance is in line with an increase in production in the broader manufacturing sector, which also increased by 3,0 percent year-on-year in October 2018, following comparatively positive but lower output levels recorded in September 2018 and August 2018 respectively. On a month-on-month basis, the M&E sector also performed well, improving from 0,3 percent in September 2018 to 9,3 percent in October 2018. The sector’s improved monthly performance was mainly supported by higher output in the petroleum, chemicals, rubber and plastic products (1,8 percent) and the basic iron and steel, non-ferrous metal products, metal products and machinery (1,7 percent) sub-industries. “Against the backdrop of a slowly improving economy, the improvement in production for the cluster is encouraging. Evidently, producers were able to take advantage of a brief strengthening of the rand to capitalise on the importation of cheaper intermediary inputs, leading to the best increase in manufacturing production since the start of the year,” Dr Ade said. He said the sector’s performance also coincides with an improved pace of the real Gross Domestic Product (GDP) growth, which surprised on the upside during the third quarter of 2018, officially moving the domestic economy out of a technical recession and providing impetus for more output, investment and employment. Dr Ade said it is very important that the sub-components of the M&E cluster continue to expand, given the need to continuously improve on overall job numbers in the broader manufacturing, which is still a cause for concern. The latest Quarterly Employment Statistics numbers released by Stats SA earlier today shows that manufacturing employment decreased by 0,6% or 7,000 jobs quarter on quarter in June 2018 to September 2018, despite the sector’s positive contribution to GDP growth in the same quarter. Dr Ade said this highlights the need to maintain the output growth momentum towards better employment numbers. Dr Ade said that he hoped that the encouraging increase in domestic growth will translate to higher demand for intermediate and final manufactured goods, which will invariably have a positive impact on production and employment within the manufacturing sector. He noted that, importantly, businesses are optimistic that the recent slowdown in fuel prices will also have a positive impact on companies’ logistics costs in the short term, thus enabling an up-tick in business activity to the expansionary zone. “These dynamics are encouraging and SEIFSA is optimistic that the basis for a continuous improvement in output going into the new year now exists for businesses to leverage on, and further expand,” Dr Ade concluded. For reasons unknown, there has been a delay in the publishing of the Draft Occupational Health and Safety (OHS) Amendment Bill for comment. Nedlac deliberations had commenced in October 2014 and concluded in March 2016. No regulations have been promulgated in 2018. The 2017 Draft Carbon Tax Bill is a refinement of the initial 2015 Draft Carbon Tax Bill. The main aim of the carbon tax bill is to put a price on the environmental and economic damages caused by excessive emissions of greenhouse gases. A secondary aim is to change the behaviour of firms and consumers, by encouraging uptake of cost-effective, low-carbon alternatives. Once the Bill comes into effect, the National Treasury will levy carbon tax on emissions above the absolute carbon budgets (a greenhouse gas emissions allowance allocated to a person over a defined time period). The Department of Environmental Affairs (DEA) is currently devising methodology for the level of the budgets. The DEA also published a Climate Change Bill which, once It comes to effect, will enable the enforcement of Carbon Budgets. The business position on both Bills is that there is no reason for a developing country, whose GDP growth has remained below 2% since 2016, to have one of the most stringent environmental legislation in the world. Moreover, the imposition of carbon budgets where there are no alternative technologies is prejudicial towards business. 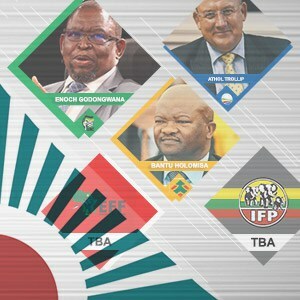 This was after SEIFSA and BUSA raised flags against the previous notice, citing impractical requirements and compliance unachievable deadlines. The deadline for subscription to approved Industry Waste Management Plans was 6 September 2018. However, by August 2018, there had not been a single plan approved by the Minister. To this end, affected companies may find themselves unable to comply with this requirement. The SEIFSA SHEQ Executive continues to lobby on this matter and keeping the Associations informed. ISO 9001 Quality Management Systems (QMS) is an effective tool for assuring quality of products. According to research, it increases the bottom line and enhances access to markets. The SHEQ division provides consultancy and training services to assist with the implementation or improvement of QMS. ISO 9001 implementation is offered to small enterprises at competitive rates. Quality related offerings include internal QMS audits are to evaluate the effectiveness of your system, and second party QMS audits to your suppliers to enhance your supply chain. 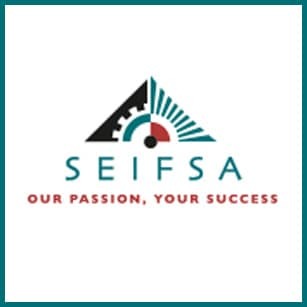 SEIFSA is proud to announce that due to popular demand we will be hosting SEIFSA’s Annual Skills Development Planning and Reporting Seminar which is an informative and practical engagement platform where company delegates will be afforded the opportunity to engage experts and captains of industry about skills development challenges. The seminar in principle focuses on unraveling the skills planning and reporting requirements, criteria, templates, and policy with links to the National Skills Development Management System (NSDMS) as well as the implications, challenges and opportunities available to companies that are registered with the merSETA. Once again SEIFSA has joined forces with the experts to address the skills development reporting submission requirements for 2019/2020. This full day informative and practical engagement platform provides the knowledge and covers all the practical key elements of the merSETA’s reporting requirements in order to claim the Pivotal and Mandatory Grant including submission of the Workplace Skills Plan and Annual Training Report. This practical session includes the basic needs analysis tool process, workplace skills plan and annual training report submission requirements as well as the National Skills Development Management System (NSDMS) processes that are responsive to strategic business imperatives. SEIFSA has once again managed to harness a group of dynamic and well informed captains of industry to present various relevant topics at a micro and macro level that will benefit both you and your organisation. Members who are new to the skills development reporting requirements for pivotal and mandatory grants and who wish to ensure that they are at the forefront of effective implementation. Skills development facilitators, human resource managers/practioners, training managers, managers, owners and managers of small and medium enterprises, experienced managers who would like to brush up on their knowledge and get to grips with the New Skills Development Management System (NSDMS). Participate in group discussions to gain from the best practice experiences of other companies. Network with other skills development facilitators and HR practioners so that you can handle skills development planning and implementation with confidence. SEIFSA’s IR and Legal Services division has highly-skilled and experienced staff that are acknowledged industry experts. They have a specialised knowledge of collective bargaining, Bargaining Council agreements, dispute resolution, labour law and environmental and commercial law issues. We negotiate company-level union recognition and procedural agreements and give written comments and advice on all company-level policies and documents – for example, on labour broking, employment contracts and disciplinary warning letters. The assistance includes, but is not limited to drawing up IR documents, including documents relating to grievance and disciplinary procedures, working time arrangements, email and internet policies and dealing with absenteeism in the workplace. They also advise on the legitimacy of medical certificates. SEIFSA’s grading specialists visit member companies and grade employees’ jobs in accordance with bargaining council’s job grading structures. SEIFSA provides qualified and experienced experts to chair and run in-company disciplinary enquiries and appeals. Our senior IR staff is active in the formulation of employer bargaining strategies and tactics. We also participate directly in industry-wide negotiations with trade union representatives. SEIFSA negotiates all terms and conditions of the industry’s collective agreements – from wage increases, employment conditions and social security arrangements through to financial and administrative issues relating to bargaining council operations. The Industrial Relations and Legal services division now also offers retainer packages on all of the above issues. For any consultation queries relating to EC contact the Team. Tafadzwa Chibanguza, SEIFSA Senior Economist, featured on the Moneyweb’s Money Talk on Radio 2000 with Tumisang Ndlovu where he illustrated the challenges of the 3% decline in the demand for steel products. Click here to listen.